2014 Oscar Nominees: 12 years a slave in, The Butler out? And the nominations are in… and It’s looking very interesting. Congratulations to American Hustle and Gravity for receiving 10 nominations each, and 12 years a slave for receiving 9 nominations. It’s great to see that a British Production such as 12 years a slave, and such a meaningful film at that has been given the recognition that the cast and crew can be proud of. If I’m honest I haven’t seen most of the movies nominated, I feel like most of them only came out the other day I haven’t had the time to catch up lol, but based on word of mouth, recommendations and reviews, it’s exciting to see who will walk away of the big awards. What was quite surprising, was the alleged “snub” of the US movie The Butler, starring Forest Whitacker and Oprah Winfrey. Similarly to 12 years a slave I have heard amazing reviews about the honest portrayal of slavery and racism in these modern films, but regardless of the review’s the film didn’t receive any nominations. 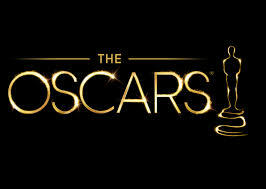 Well we will know the full results on Sunday, 2nd of March when the 86th Annual Academy Awards for 2014 will take place. Who do you think are the big winners?